So, there is now HUGE potential for your SME to capitalise on this exciting and engaging marketing strategy, bringing your business and services closer to your users and potential customers. Having an up-to-date website that is bringing in a good amount of traffic is a great place to start, but your business can grow much further with an app, by pushing users who have used your website to download your app too. Having an app at your users' fingertips could save your business time and money, rather than spending it on short term, high cost, unmeasurable activities, such as billboards and roadside adverts. Using your existing website to promote your app - and the app to promote your services - will result in a more manageable marketing campaign. By doing this, the user already has experience using your business and will continue to do so more by having your services at the tap of a screen. Once potential customers download your app there is potential to generate profitable opportunities from direct marketing and building a bigger brand in the eyes of your users. Having an app allows your business to be present on your users' devices 24/7, online and offline. The closest alternative to this would be for users having your business website bookmarked and not many users will do this. One of the biggest advantages of having an app is the direct line your users have to your services, you are literally one tap away, speeding up the service for both the user and your business. Results from eMarketer indicate that the average time spent browsing the web has remained the same over the past 3-4 years, whereas the average app usage time continues to grow every year and looks to do so this year and next. This demonstrates how users are much more likely to interact with your business and therefore your services, if you have an app on their device with a direct line of service. The advantage of having a constant presence on your users' devices also results in an increase of brand recognition and awareness. Every day whilst using my smartphone I scroll past recognisable logos and branding of the apps I use and trust, such as Sky Sports and Instagram. Although these are major brands for large scale businesses even an SME can stand out with a well-branded app. 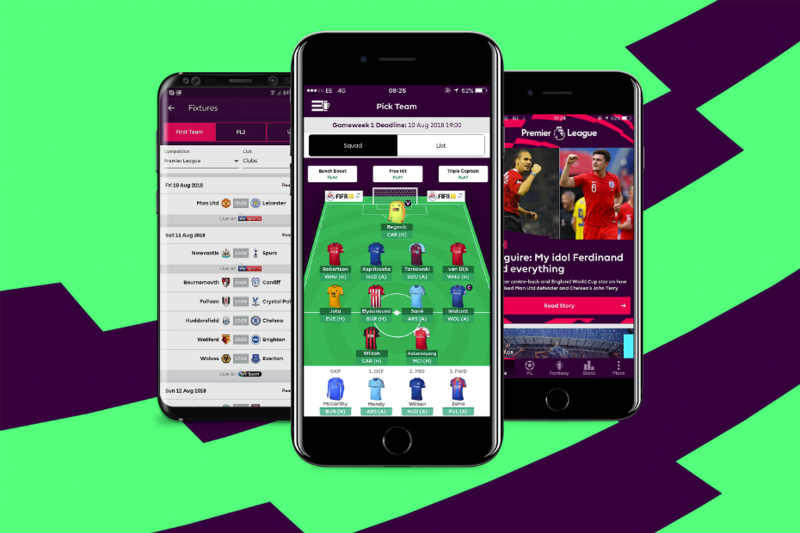 If your business has a strong brand this can easily be achieved, the all new Premier League branding with their neon colours helps the icon catch my eye every time I unlock my phone. Creating a brand with useful, likeable features will also help increase your SME's brand recognition. Most of the apps on my phone serve a purpose for my day-to-day activities an example of this is when I’m watching a film I tend to wonder which films I have seen certain actors in previously, I use the popular IMDB app to find the actor/actress' name and then look at their previous films. Your business can help provide services such as this, that will keep users regularly using your app. No matter how big, or small, your business is, your app could be used daily and play a big part in their day. Examples of this would be to provide answers for what people are looking for. For example, if your business is in the leisure industry, users may be looking for opening times, menus or FAQs. All of these and more can be used to keep users using your app. Just because you can notify your app users 24/7 doesn’t mean you have to, doing so too much could become annoying and result in users deleting the app. A better time to alert your users might be when they’re close to your business, using a geolocation to direct them to your store, bar etc to redeem an in-store offer given to them through your app. This is just one the many ways of marketing to your customers through an app, showing that with a structured marketing plan you can connect with your users when the time is right, pushing information or deals that they want to see and ending up with more sales, leads or data because of this marketing. Other than push notifications, apps can also have notifications waiting for the user when they decide to use the app. On-click offers, new features highlighted and news feeds are some of the methods of notifying users with new or important information when using the app before they complete the task they opened the app for. Having an app that provides value to your customers is a win-win. You, the business, will receive the sales, leads or data from your direct marketing campaigns, whilst your customers will receive a useful app that can provide them with unlimited information and offers. Another popular way to provide value to customers with apps these days, especially within the service industry, is to have a rewards system. I am a regular Subway customer and because of this I have a Subcard and their app installed on my smartphone. Having the Subcard and its app allows me, the customer, to collect points every time I make a purchase at Subway, resulting in an award of free products when my points balance reaches a certain level. Having an app that can interact with your store/bar/restaurant or any type of business can be great, as not only will your users interact with you on your app but they will also interact with your business in person when visiting your stores to gain points and rewards. Sure you’re going to have to give a little something away, but the return investment should be greater in the long run. Although there are more and more SMEs offering their services via an app it is still a niche marketing technique for certain industries, so it’s time to get ahead of your competitors and become the 'go to' app in your local sector! Personally, I like to use services that have been around for a while, so I tend to opt for the originals, rather than the 'new kids on the block'. So if you were clearly the longest established and most popular app for the service I was looking for, I'd choose yours over the competition. Everyone has different ways of thinking when downloading apps, so to stand out from the crowd you might consider your branding in the app store, your content or even how you are marketing your app. But don’t worry, in addition to helping your business create an amazing app we can help you with all these services too!